Art has more than 30 years of experience in all types of environmental and land use matters. He has effectively advised and represented parties in hundreds of contamination disputes, recovering tens of millions of dollars from responsible parties and insurers and effectively defending our clients. He has successfully handled zoning and other permitting disputes involving big box retailers, educational institutions and churches, industrial facilities, subdivisions, child care centers, affordable housing and range of other projects. Special City Solicitor/Town Counsel in Attleboro, Barnstable and Charlton. Certified mediator in dozens of environmental, land use and affordable housing disputes. Expert witness in state and federal environmental and insurance cases. Special Master in municipal environmental disputes. Hearing Officer in Board of Health solid waste site assignment hearings. Represented the City of Attleboro at a multi-party Superfund site in Attleboro and Norton, and represents the City in four related zoning cases regarding concrete and asphalt batching plants. As part of a team at A&K, represents a major Boston landowner in its Chapter 91, environmental impact review and zoning opposition to a proposed waterfront hotel. Negotiated a Consent Judgment for an industrial landowner at a Superfund site in Danvers, successfully pursued insurance coverage regarding a defunct tannery that formerly operated at the site, and advised the owner about potential redevelopment of the site. For a commercial developer partnering with a historic church in Cambridge, defeated neighbors’ zoning and historic preservation appeals challenging a project to restore the church and add mixed-use development to the church and abutting properties. Represented the Town of Barnstable – and a received a favorable settlement – in a suit against Barnstable County for contamination of the Town’s drinking water supply with PFAS from the County’s use of fire-fighting foam at its nearby Fire Training Academy, a case that involved complex issues regarding contaminants of emerging concern and municipal and county finance and governance. For two non-profits seeking to develop an innovative combination homeless medical clinic and housing facility in Boston, defeated neighbors’ zoning and urban renewal appeals. Conservation Law Foundation – Filed an amicus brief in a suit by CLF and individuals to require DEP to issue more aggressive regulations to implement the Global Warming Solutions Act; Arts arguments were reflected in both the Supreme Judicial Court’s oral argument and its decision for the plaintiffs. Oceana – As part of a team at A&K and working with local counsel in Belize, sued the government of Belize to stop proposed offshore oil exploration on environmental and administrative law grounds, and obtained an injunction prohibiting the project. Connecticut River Watershed Council – Successfully represented a non-profit against DEP and a private party regarding restoration of the Chickley River in Hawley, MA. Art has published many continuing legal education articles. 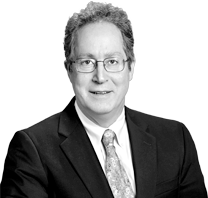 He regularly participates in panel discussions on environmental, insurance and land use law. For a complete listing of all publications and presentations please see his resume. Art and his wife Rebecca Benson, who practices elder law in Boston, live in Belmont and raised their family there. Art has played Ultimate Frisbee since shortly after its invention, and still plays on mixed-age, masters and grandmasters teams. He recently earned his certification from the Massachusetts Master Gardeners Association and regularly volunteers at National Park Service and other historic sites in the Boston area. He’s always looking for a good squash or chess partner.